Talk about your Rasterbation obsession in the dining hall and you may get a couple of funny looks (or maybe not). Although it sounds a bit illicit, rasterbating isn’t at all. It’s actually a funky way to spice up dorm rooms that have outgrown the Newbury Comics poster selection. 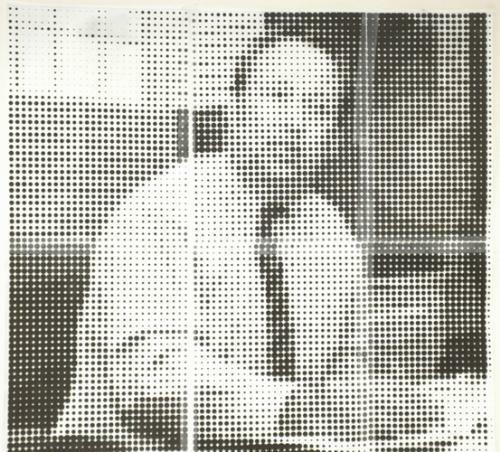 The Rasterbator uploads jpeg files from your computer and magically changes them to Roy Lichtentstein-esque pictures composed of millions of dots. Sound weird? It is. The site, www.homokasu.org, is run by a Finnish cyber-sect, the Homokaasu, literally “gay gas” in Finnish. According to the site, the name is there for “mythical shock value” only—there is no wider association to the online gay or gassy community. Homokaasu is primarily a forum for strange stuff. The Finnish webmasters have anticipated a wider audience, so all the crazy conspiracy theories and ramblings are conveniently translated into English. The coolest part of the site by far (besides the make-it-yourself Pope cutouts) is the Rasterbator, which allows you to take any picture you want and turn it into a huge graphic poster. (For free.) Who wouldn’t want the larger-than-life faces of their friends digitally remastered and printed for free? Granted, you have to like graphic art, Finnish sects, and your friends a lot, but if you do it’s an excellent decorating option. Rasterbating your own pictures can be fun, but it’s nothing compared to a good Rasterbation of your favorite celebrity, athlete or Harvard President. In place of the conventional adoration we give President Summers, the Rasterbator offers a whole new way to glorify Larry: digitally, and on your wall. And it’s easier than getting any other face-time with Summers. Download his mug from his official website and Rasterbate at will. It will come out something like the image to the right. Charley J. McNamara ’07 was initially put off by the Larry Rasterbation. “It looks like something I would hide under my mattress and show only to my closest friends,” says McNamara. For those inclined towards Summers-worship, it’s a fitting tribute.